It is the time to be jolly and bask in the effervescent glow of colors and lights! Because, the festival season has kick started in India. This is easily the most awaited time of the year. 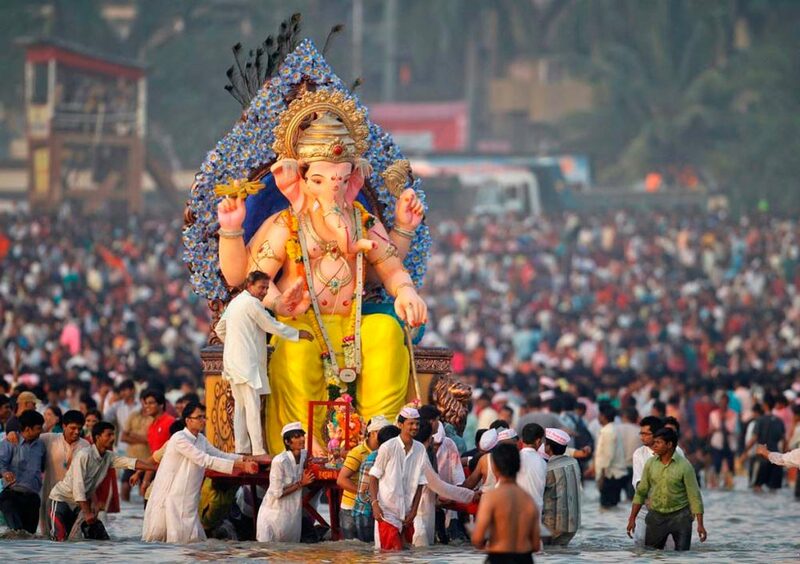 From Ganesh Chaturthi to Diwali, the three months of festivities mark the most vibrant quarter of the Hindu calendar. 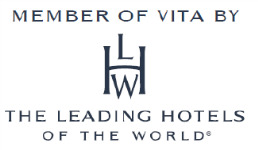 And what could be more enriching than to celebrate each festival in its place of origin? So, here we are, laying down the best places to visit for each occasion. Dedicated to the God of good beginnings, Ganesh Chaturthi marks the onset of the festive season in India. As the patron deity of Maharashtra, Ganesh Chaturthi sees the grandest celebrations in the cities of Mumbai, Pune, and Ganpatipule. With larger-than-life idols in myriad colors and adornments, the festivities continue from one to 21 days at homes, temples, in public places. But the glory of Ganesh doesn’t end here because, Bengaluru, Mysore, Hyderabad, and Ahmedabad also celebrate the festival with great zeal and enthusiasm. For an eco-friendly celebration, head to Goa or Trivandrum, where local village communities make and worship idols of clay, banana plants, and straws. A nine-day long celebration of Shakti (the mythical female form), this is the most significant festival of Gujarat and parts of North India. 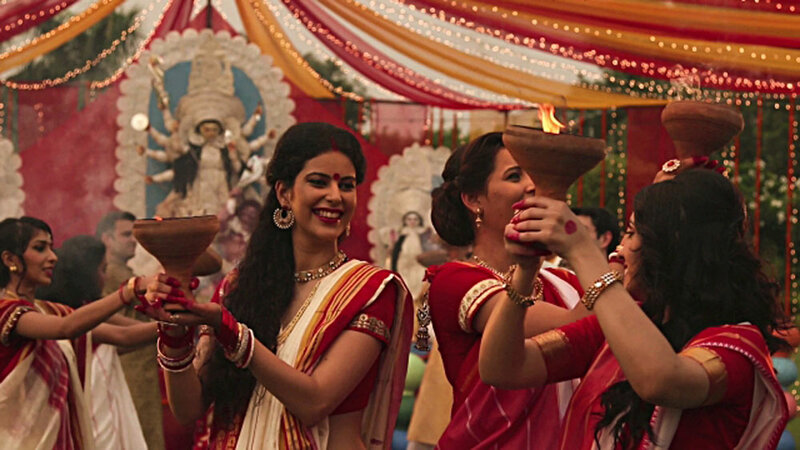 While you might find more religious rituals in the northern states of Punjab and Uttarakhand, Navratri in Gujarat is nothing short of a cultural extravaganza. Cities like Ahmedabad, Rajkot, Surat, Vadodara, light up in the most electrifying hues. 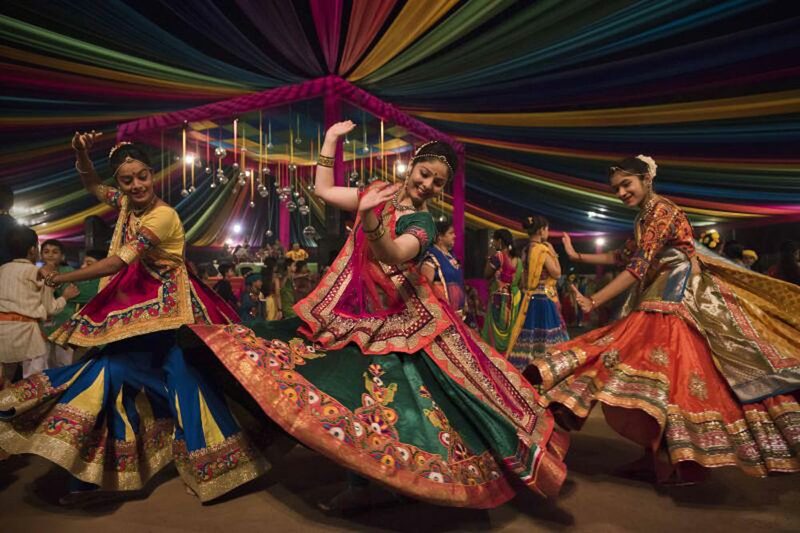 To get the real flavor of Navratri, you must take part in the traditional garba and the dandiya dance events held in almost every city and every town. People from all walks of life, dressed in the most flamboyant, colorful attires, sway to feet-tapping music all night long, and bring in festive cheer! Starting from the sixth day of Navratri, West Bengal starts celebrating the state’s biggest, largest, and the grandest festival of Durga Puja. Commemorating the victory of Goddess Durga over the demon Mahisasura, the City of Joy is at its joyous best. The supercharged vibes of the otherwise unhurried city, coupled with the lights, sounds, and aromas, make for a sensory experience like none other. Join hundreds of travelers from around the world to explore the exquisite marquees/pandals designed by local, national, and international artists, and turn the city into a magnanimous art display. The last day of Navratri/Durga Puja/Ram Navami marks the victory of Lord Rama over Ravana and is celebrated across the northern states and parts of south India, by burning an effigy of Ravana. But if you want to experience the grandest Dussehra ever, then head to Mysore. Locally called Dassara, the festival is all things royal in the City of Palaces. 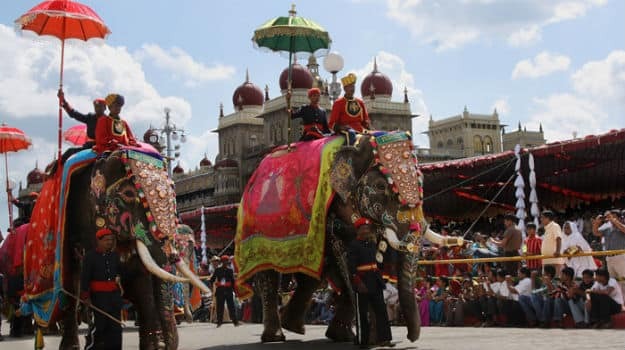 Be ready to be awestruck at the grand Mysore Palace, when it lights up in 100,000 light bulbs and the current king (symbolic) holds a private ceremony at the Royal Court. A carnival of lights and sounds, Diwali closes the curtains on the festival season and is universal to the entire nation. But if you want a taste of the most prominent celebrations, then head to Jaipur or Varanasi. 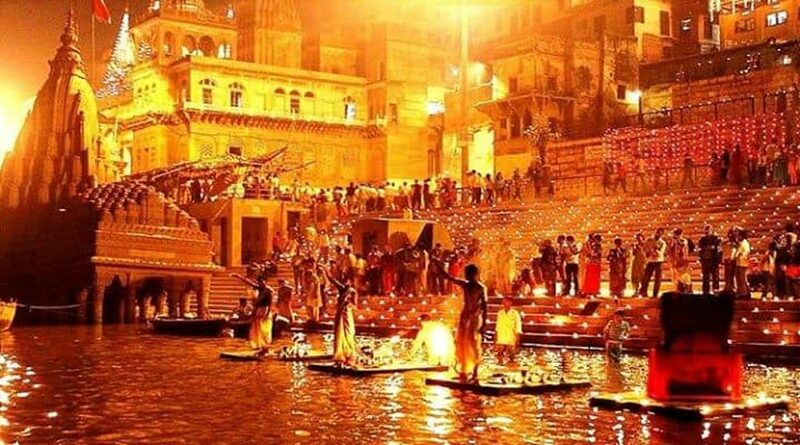 While the ruddy glow of the Pink City gets enhanced by the Diwali lights and lamps, the holy city of Varanasi assumes an ethereal vibe. The fireworks and Diwali aarti on the banks of the Ganges is a must-see. This festive season, let Indiana take you through the signature celebrations of each destination and turn your holidays into a memorable and colorful travel experience.